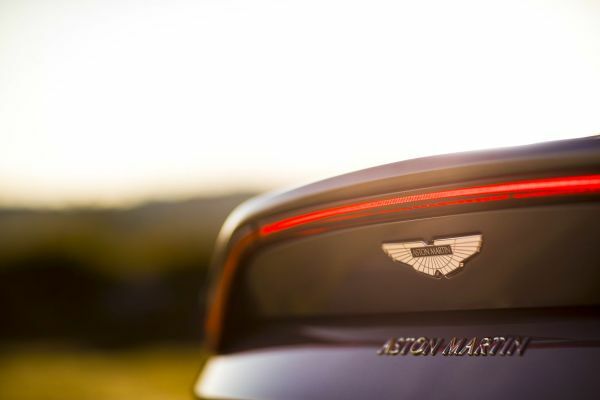 DTM looks ahead to the involvement of the renowned brand Aston Martin. ITR, promoter of the international touring-car series, welcomes the British manufacturer that will be represented by Team R-Motorsport on the DTM grid. Should the development of the racing cars based on the Aston Martin Vantage progress as scheduled, the squad could contest its first races as early as 2019. Team R-Motorsport is part of AF Racing AG based in Niederwil at St. Gallen, Switzerland, a broadly diversified young motor-racing company that has got close ties with Aston Martin Lagonda Ltd.
To date, R-Motorsport entered Aston Martin racing cars mainly in GT racing. The company AF Racing AG will be responsible for the DTM project that will be licensed and supported by Aston Martin and recently founded a Germany based joint venture with HWA AG. The joint venture will be responsible for the development, building and running of the Aston Martin DTM racers. Due to their extensive DTM experience, HWA are regarded as perfect partner for the project. The number of Aston Martin cars and the drivers will be announced at a later point in time. The involvement of Aston Martin perfectly suits the advancement of DTM as leading European race series. Recently, DTM intensified the multi-year collaboration with GTA, umbrella organisation of the Japanese SUPER GT series. The two series promoters agreed upon common technical regulations (“CLASS 1”). DTM and SUPER GT plan two joint race meetings in 2019, one in Japan, the other in Europe. “I am convinced that the internationalisation-orientated cooperation of ITR and GTA as well as Aston Martin’s decision to join DTM will have signalling effects for further manufacturers,” says Berger. The ITR Chairman adds: “The cooperation with GTA, the internationalisation of our platform and the acquisition of further brands represent some of our most important strategic goals. “We are delighted with joining together with Aston Martin a renowned top series with international orientation,” reveals Dr Florian Kamelger, founder and co-owner of AF Racing AG and R-Motorsport Team Principal. The competitors also are delighted with Aston Martin’s step. Head of Audi Motorsport Dieter Gass says: “Welcome Aston Martin in DTM. We are looking forward to having AF Racing in cooperation with the tradition-rich brand Aston Martin aboard. Thanks to this step it’s guaranteed that DTM will provide motor racing at a high sporting and technical level, with premium manufacturers on the grid. I believe that Aston Martin, Audi and BMW will make for thrilling top-class motor sport. BMW Motorsport Director Jens Marquardt says: “Welcome in DTM, Aston Martin! The news of Aston Martin entering DTM is great for the series and the fans. This step gives all those involved planning reliability. After the surprising announcement of Mercedes to retire from DTM we early committed to the series and promised the fans to fight for its future. And we did so successfully. Our trust in the continuity of DTM and the numerous hours we worked jointly with ITR and Audi paid off. We really have to thank Gerhard Berger whose tireless efforts proved to be successful. Aston Martin are well respected and appreciated competitors in GT racing. We are delighted with having the opportunity to now also race against them in DTM. The 2018 DTM season finale will be covered live by SAT.1 in their programme ‘ran racing’, both on Saturday (13th October) and Sunday (14th October) from 13:00hrs CEST (12:00hrs BST). In Austria, ORF eins will cover both races from 13:15 CEST and in Switzerland, the motor-racing enthusiasts can watch the DTM race action courtesy of MySports. The races will be started as usual on both days at 13:30hrs CEST. Furthermore, all the practice and qualifying sessions as well as the races will be streamed live at DTM.com and the official DTM App. Tickets for the DTM season finale can be purchased at the official website at www.DTM.com/tickets.